AE911Truth Products >> Banner and Other Artwork – FREE! Click image for downloads – do not add to cart. Gentleman's T-Shirt. 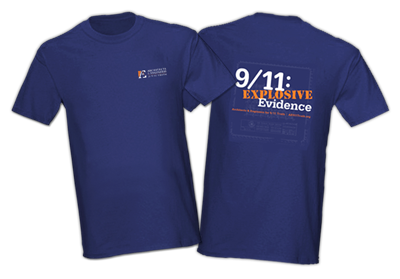 "Explosive Evidence" T-shirt for men.